Happy day, the return of Caroline Herring. Best new artist of 2001 in Austin, declared by both the Austin Statesman and the Austin Music Awards. It was an undeniable debut. And by Wellspring in 2003, her husband's job (an academic and a musician himself) had relocated the family to Atlanta. Family indeed--by now the mother of two, Ms. 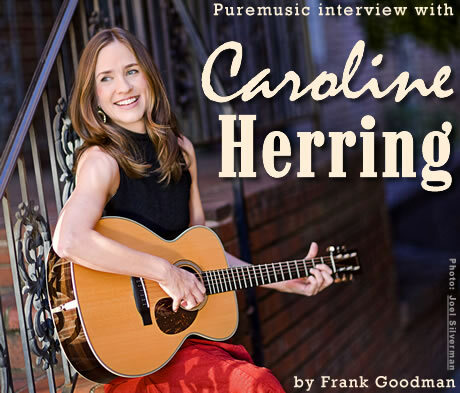 Herring's luminous beginnings had to go on hold to a certain extent for a few years, though she continued to play locally and do some European festivals, build a database of rural traditional musicians for the State of Georgia, and write songs that would eventually lead to the next rung on the ladder, a deal with coveted songwriter-centric Signature Sounds and her best release to date, Lantana. 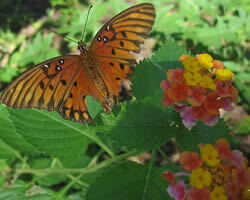 And like the plant for which it's named, it's bound to attract butterflies in great numbers. The bell-like purity of her voice is sonorous in its depth. A folklore scholar and co-creator of the Thackery Mountain Radio Hour (still going on Mississippi Public Radio), the woman knows from whence she sings, and the themes in her own songs both run and cut deep. "Paper Gown," about Susan Smith of Carolina drowning her sons, and Caroline's spin on "Fair and Tender Ladies" (in her version, it involves a nun, a poet, and an anti-lynching activist), are but two that show the strength and gravity that are a part of her trademark. We talked about music some, but also about family and just being a person trying to marry and be married to both of those things, and just being awake and excited by the process of living and making music. She's a great woman and an important artist, and we're happy that she's back with another fine record, this time co-produced with Rich Brotherton, Lantana.